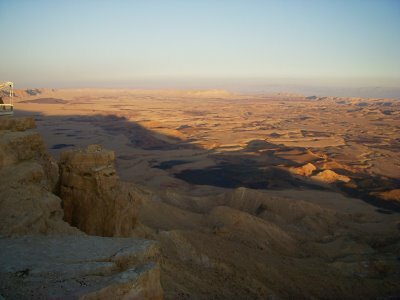 Today I am in Mitzpe Ramon, known for the dramatic Maktesh Ramon Crater. 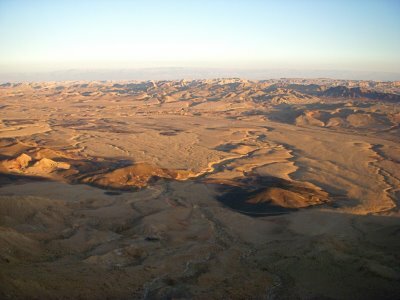 Situated on the edge of the crater, Mitzpe Ramon is a quiet, lazy town. In Be’er Sheva, I couch-surfed for two nights, Saturday is the Sabbath, and everything is closed in Be’er Sheva. I am couch-surfing in Mitzpe Ramon for two nights, also. I will head to Masada on Tuesday with possibility a stop in Arad. Tel Aviv is like a bubble in Israel, open-minded, carefree, the populace respects choice. 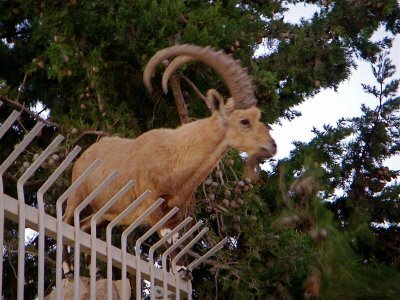 Israeli’s would not allow the ardent Jews to live in the main area of Tel Aviv; the Jews live in their own neighborhood. There are vast discrepancies and division between Israeli and Jewish. The common Israelis are atheists, although the growth of spirituality can still occur through personal experience. The common Israeli’s are pleasant, enjoyable people; this is a cultural aspect that the world does not understand. Indeed, a negative stigma is appended to many different cultures, countries, and people. When I made a reference to music and asked if it is Jewish, more than one person in Tel Aviv would say “no its Israeli”. The Jewish people are easily recognized because of their outward appearance. I find this division to be of interest between the Israelis and Jewish. The progressive country of Israel is clearly identifiable; the similarities between Israel and America are astonishing, and the Israeli’s desire to be as America is strong, even so, without the vast space. The productive cultivation of the land is noticeable, and positive; the money that Israel receives per-year is clearly noticeable, although Israel has used the money for the betterment of the country. Egypt receives two billion dollars each year (the common thought), if this is affirmative; indeed, Egypt does not use the money for the advancement of the country. Within an open-minded society that respects choice, a higher level of awareness and intellectual education is manifested. The intellectual cleverness level of the West, compared to the Islamic world is expansive. The programming, dominating culture, with a strong ideology is a hindrance to awareness and progressive education. However, each person within their own culture is on their own path. The Western world of choice causes a strange environment of lack of trust, the populace manifests a higher level of paranoia; fear is a predominate quality. Positives and negatives in each culture are manifested; there are the good and bad, the darkness and light in every culture and country around the world. A clear manifestation of the imbalance within a culture of choice and a culture of control—each cultural entity displays its own problems. If someone makes the wrong choice within his or her lot in life, then that person will, hopefully, ascertain from the mistake and grow from the mistake—responsibility is crucial. However, many people struggle concerning the individualistic, isolating nature of the west that starves a person from essential intimacy, the majorities need family support, structural control within balance. After Masada, I will head to the organic farm, which I am looking forward to a regular routine, even though I will be working, a regular routine will provided some needed quality rest. Within the issue of the Israeli/Palestinian conflict, there are two sides to the problem. It is easy to take sides and state an opinion; although, looking at the facts within a neutral stance is crucial—the media is destructive.